Proving Fault in a Massachusetts Auto Accident Claim: What Constitutes Negligence With Respect to Massachusetts Personal Injury Claims? With respect to all Massachusetts motor vehicle accident claims, the grounds for finding that a person or company is responsible for your damages, as a matter of law, is proving that the other party was negligent. The fault of the other party is established by demonstrating that they did something wrong, or otherwise violated a legal duty, namely that they were negligent. Massachusetts auto accident negligence, with respect to the operation of a motor vehicle, can be thought of as a finding that the operator has behaved carelessly or otherwise improperly, and that this misconduct resulted in injury to another person. The at-fault party, namely the person that is found to be negligent, is liable for any damages that may have been caused due to his or her carelessness or mistake. Settlement negotiations and cases in court often involve a dispute about which party is at fault with respect to the Massachusetts auto accident. Our Boston, MA Car Accident Attorney Experts Will Prove Negligence With Respect to Your Massachusetts Auto Accident Claim. Call Our Boston Auto Accident Attorneys 24/7 at 617-787-3700. In Massachusetts auto accident injury claims, the injured person, legally referred to as the plaintiff, attempts to prove that the other person, referred to as the defendant, was at fault for the Massachusetts car accident. The plaintiff will likely claim that his or her injuries are due to the negligence of the defendant. Such negligence is based on the defendant’s failure to fulfill his or her legal obligation to uphold the rules of the road, and protect the safety of the plaintiff, by causing an accident which resulted in harm or injury to the plaintiff. 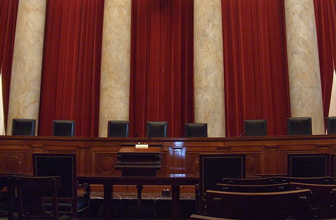 In regards to duty, negligence can only be proved when a duty to use reasonable care exists. Certain relationships can exist that create a heightened or lesser duty of care. Some of the relationships that can increase the duty of care that is owed include Massachusetts landowners or occupiers of land, employers/employees, social hosts and special relationships between the plaintiff and the defendant. Massachusetts landowners or occupiers of land owe a duty to exercise reasonable care to all lawful entrants, as well as a duty to refrain from willful, wanton or reckless behavior with respect to all trespassers. Social hosts, however, do not owe a duty to protect against the criminal acts of their guests, unless the risk of injury is foreseeable. 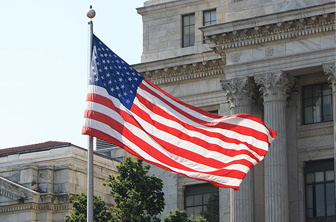 In addition, a special relationship may exist when the harm is foreseeable, when the plaintiff relies on the defendant’s conduct, or when the defendant is in a position of control or authority. If a special relationship exists, the defendant may have a duty and thus be required to use reasonable care to prevent potential harm that is foreseeable. Employers may also owe a duty of reasonable and appropriate care to third persons for injuries caused by their employees if the employee acted within the scope of his or her employment at the time the injuries were caused by the defendant. In regards to breach, the second element of negligence, once duty has been established, the fact finder must then determine whether the individual breached that duty of care. One way to prove breach is through custom or usage. Evidence of the regular course of business and customs or habits of the alleged wrongdoer may be introduced as evidence to show that the wrongdoer's conduct conformed with past practice with regard to the particular actions being considered. Another way of establishing breach is through a violation of a safety statute under Massachusetts law. Yet another way of proving breach is though the legal doctrine called res ipsa loquitur, which means in Latin that “the thing speaks for itself.” Under this doctrine, there is a presumption under Massachusetts law that a defendant was negligent, due to the fact that proof is available to show both that the instrumentality that caused the plaintiff’s injury was in the defendant’s exclusive control and also that the accident would not ordinarily occur without someone’s negligence. In regards to causation, the third element, the party claiming negligence must prove both factual causation and legal causation. To establish factual causation, the plaintiff must prove that it is more likely that the alleged harm was caused by circumstances that the defendant was responsible for rather than from any other cause or set of circumstances. Factual causation is established using a “but for” test, which must demonstrate that but for the defendant’s negligent conduct, the injury or other harm would not have happened. To prove legal causation, which is also called proximate cause under Massachusetts law, the plaintiff must demonstrate that it is more probable than not that the defendant’s conduct was a substantial and contributing cause of the accident and that the injuries occurred as a result of that conduct. It is only necessary to establish that the defendant took a risk involving the plaintiff’s safety that a reasonable person would not have taken, and that as a result, the plaintiff sustained injuries that were in fact foreseeable. In regards to damages, the fact finder must determine whether the plaintiff was harmed. If so, the plaintiff is entitled to recover money damages. A plaintiff who is injured because of the negligence of the defendant is entitled to compensation for the injuries sustained that were the natural and probable consequence arising out of the defendant’s conduct. There are many types of damages, including conscious pain and suffering, exacerbation of a preexisting physical condition, loss of earning capacity, loss of the enjoyment of life, scarring and disfigurement, medical expenses or bills and loss of consortium. To determine conscious pain and suffering, the fact finder must analyze a multiplicity of factors, including the nature, extent, severity, permanency and effects of the plaintiff’s injuries, in order to arrive at a fair and just monetary amount. If the defendant’s negligence has aggravated or exacerbated a preexisting condition or disease of the injured person, the defendant will be held liable for only the injury that occurred as a result of the accident, rather than the entirety of the condition. Loss of earning capacity damages is determined based on the loss in the plaintiff’s ability to make a living in the future. A fact finder can consider the type of person that the plaintiff is when determining future loss of earnings, including education and background. A plaintiff can also receive damages for loss of enjoyment of life if, as a result of the accident, he or she can no longer engage in previous hobbies, personal interests or extracurricular activities. In addition, a defendant may be held responsible for any scarring or disfigurement caused by the defendant’s negligence. A plaintiff may also receive compensation for all reasonable medical and hospital bills that were incurred as a result of the defendant’s negligence. Finally, loss of consortium damages may apply where a spouse, child or parent is harmed as a result of the defendant’s negligence causing injury to the other spouse, a parent or a child. (property damage and physical injury). In order to recover these damages, the injured Massachusetts auto accident victim must prove that he or she was hurt as a result of the other driver’s negligence, due to the recklessness, carelessness or other violation of the Massachusetts rules of proper and safe driving by the other driver. Depending on the circumstances, the injured party may also be entitled to recover damages for wrongful death or property damage. In general, Massachusetts car accident claims are pursued under the laws of negligence where the injured driver sues the at-fault driver. Some cases, however, arise in which other issues come into play that may change the laws that are used to file a claim or change the party against whom the claim is made. For example, an accident may result from a problem with the machinery in a car. If someone slides on ice and their emergency brake fails to function, the car manufacturing company could be found liable for a defective product, namely defective brakes. Properly constructed brakes should not fail and then cause an accident. In other instances, someone besides the negligent driver who caused the injury may have to pay the injured party more for their injuries than the negligent driver. If that is the case, it makes more sense to file a claim against the person who would be responsible for the greater damages. For example, if someone is injured by an employee driving a motor vehicle on-the-job, the driver may be protected under the law as acting as an agent for his employer. 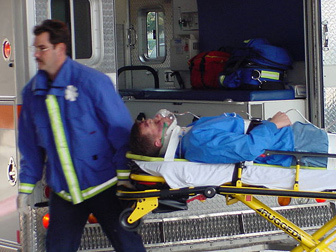 Pursuant to Massachusetts agency law doctrines, the injured person could then file a Massachusetts personal injury claim against the employer. Massachusetts Car Accidents - Who is at Fault? Proving fault is the most important aspect of a successful Massachusetts auto accident claim. The person whose negligent behavior caused the motor vehicle accident is at fault, and is, therefore, liable for all of the damages caused by their carelessness or recklessness. However, sometimes liability is unclear, or there is shared fault. When liability cannot be easily determined, a jury divides fault based on the relative percentage of fault of each of the negligent parties. 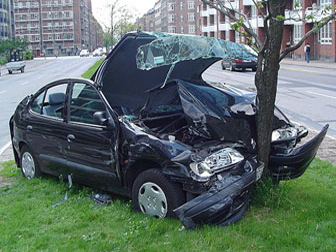 Our Boston, MA car accident lawyers are experts at proving the fault of the other party. What are Massachusetts Comparative Negligence and Massachusetts Contributory Negligence? Under Massachusetts law, if the injured party is also partially at fault for the accident, that person’s compensation may be reduced or, in certain circumstances, completely barred. For example, imagine that Rachel hits Carla, a pedestrian, while making a left-hand turn onto a two-way street. Carla sustains neck and back injuries. Further imagine that Carla was not walking in the crosswalk and ran into the street without looking for cars. While Rachel is responsible for hitting Carla, it is also true that Carla ran into the street, without looking, and chose not to walk in the crosswalk. In this case, a Massachusetts jury would likely assign shared fault to both Rachel and Carla. Massachusetts uses a proportional form of comparative negligence that entitles an injured party to recover some of their damages if they are less than 51% at fault for the accident. If the plaintiff is determined to be less than 51% at fault, but still to have contributed to the accident, the damages that the plaintiff is able to recover are reduced by his or her percentage of fault. In the case of Rachel and Carla, if the jury found that Carla was more than 50% responsible for the accident and her resulting injuries, Carla would not be able to receive any compensation whatsoever for her injuries. However, if the jury found that Rachel was 70% at fault for the accident and Carla was 30% at fault, Carla would be entitled to recover 70% of her damages from Rachel. According to Massachusetts law, because Carla was 30% at fault, her damages total would be reduced by 30%. This means that if Carla’s damages were valued at $10,000, she would recover $7,000. How is the Percentage of Massachusetts Fault Determined? When liability is unclear with respect to a Massachusetts motor vehicle accident, Massachusetts insurance company claims adjustors calculate their own percentage of fault in order to decide on the amount of a settlement offer. It is easy to be taken advantage of or to be misled as to your portion of responsibility in the Massachusetts accident if you do not have expert Massachusetts legal representation. 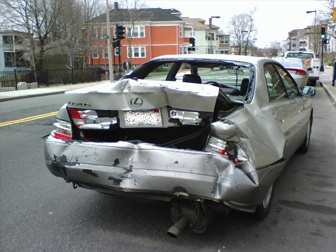 Our expert Boston, MA auto accident attorneys know how to evaluate fault with respect to the accident. Our knowledgeable Boston car accident lawyers know how to advocate the lowest percentage of fault possible for our clients. This number plays a critical role when we negotiate your settlement, and the experience and skill of our Boston car accident injury attorneys help us to obtain for you the maximum compensation possible. Call our expert Massachusetts auto accident injury attorneys today at 617-787-3700. The mission of our Boston, MA auto accident law firm and Boston, MA wrongful death law office is two-fold. 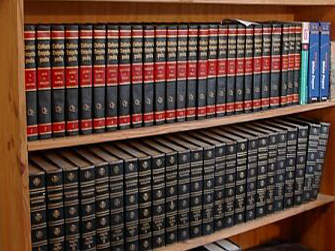 First, our expert Massachusetts auto accident attorneys seek to always provide outstanding legal representation. Second, we strive to provide superior client service at all times. 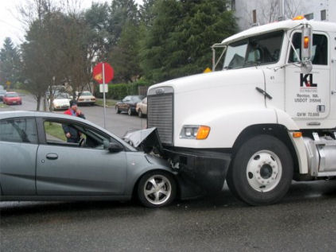 This distinguishes us from other Boston auto accident law firms. The Massachusetts auto accident attorneys at our Boston, MA law firm never act on a client’s behalf without thoroughly discussing all of the relevant issues with the client beforehand and reaching a mutual decision with our client. We respond quickly to all client inquiries, promptly return all client phone calls and copy our clients on all client correspondence. Many of the attorneys that are available to our clients through referral agreements have been recognized as some of Boston’s best attorneys. 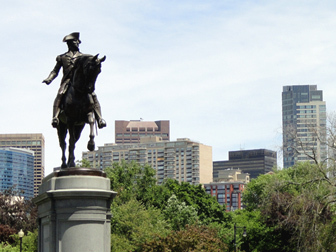 A number of our attorneys have been acknowledged as some of Boston’s best personal injury lawyers in both the Boston Globe and Boston Magazine. If you or your loved one has been the victim of a Massachusetts auto accident, there are a number of emotional and physical injuries that may have been sustained. The damage award that you or your loved one will be entitled to depends on the extent of these injuries. In more fortunate Massachusetts auto accidents, the victim will suffer only minor injuries, including soft-tissue neck and back injuries as examples. Usually these injuries are temporary and will heal with appropriate rehabilitation. In less fortunate Massachusetts car accidents, a Massachusetts car accident victim will sustain severely debilitating injuries that are life-threatening. In the worst circumstances, a Massachusetts auto accident victim will suffer a Massachusetts wrongful death. In the event of a Massachusetts wrongful death, the victim’s family is entitled to recover compensation on behalf of the deceased. Massachusetts auto accident victims are entitled to a number of different types of damages, typically including lost wages and medical expense reimbursement, as well as monetary compensation for pain and suffering and loss of consortium. In order to obtain damages in a Massachusetts auto accident claim, it is necessary to prove the negligence of the other driver, namely that the defendant’s failure to use reasonable care in the given circumstances resulted in injury or death to the Massachusetts car accident victim. Our highly skilled Massachusetts auto accident attorneys are experts at proving the negligence of the defendant. 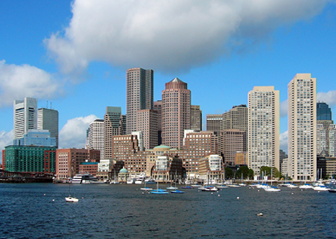 Our Boston, MA attorneys have over 25 years of experience in handling complex auto accident claims. We consult with a variety of medical professionals and other experts to ensure that our Massachusetts auto accident client’s injuries are accurately and fully assessed. An accurate assessment of a Massachusetts car accident victim’s injuries is critical in order to obtain full and fair compensation. It is very important that a highly skilled Massachusetts auto accident attorney from the Boston, MA Law Offices of Gilbert R. Hoy, Jr. and Affiliates be obtained as soon as a Massachusetts auto accident takes place in order to ensure that the Massachusetts auto accident victim or the victim’s family is justly compensated for his or her injuries or death. If you have been injured, or a loved one has been injured or killed in a Massachusetts auto accident, please call our Boston auto accident attorneys or Boston wrongful death lawyers today at 617-787-3700 or email us at info@gilhoylaw.com. Your needs are our top priority! Massachusetts law requires that all Massachusetts drivers purchase PIP (personal injury protection) coverage as part of their Massachusetts auto insurance. This type of insurance helps to pay for medical expenses for the personal injuries arising from an auto accident, regardless of who was at fault for the accident. If you are injured in a Massachusetts motor vehicle accident, and you are found to be more than 51% responsible for the accident, you are not legally entitled to any compensation for your injuries from the insurance company of the other party involved in the accident. This is when your PIP coverage will kick in and pay the first $2,000 of your medical bills. After you have reached that maximum, if you have private health insurance, you will need to submit your remaining medical bills to your private health insurer for payment. PIP will then pay for any treatment not covered by your private plan, generally up to a total of $8,000. It is a good idea to add a significant amount of uninsured/underinsured coverage on your Massachusetts auto insurance policy, for an additional cost. This type of Massachusetts auto insurance will cover you for damages resulting from an accident with someone who has no insurance or does not have enough insurance to pay for all of your expenses and injuries. It also protects you in the event of a hit-and-run accident or when a car was stolen. Our expert Boston car accident lawyers and Boston wrongful death attorneys represent Massachusetts car accident personal injury clients from throughout the Commonwealth. If you or a loved one has been injured in a Massachusetts auto accident, or if a loved one has been killed, please call our expert Boston auto accident attorneys or Massachusetts wrongful death lawyers at our Boston, MA law office at 617-787-3700 or email us info@gilhoylaw.com. Our Boston, MA Car Crash Attorneys Will Prove Negligence With Respect To Your Massachusetts Auto Accident Claim. Call Our Massachusetts Car Accident Law Firm 24/7 at 617-787-3700.